Jeremy Begbie is the inaugural Thomas A. Langford Research Professor in Theology and directs Duke Initiatives in Theology and the Arts. He teaches systematic theology, and specializes in the interplay between music and theology. He is also Senior Member at Wolfson College, Cambridge, and an affiliated lecturer in the faculty of music at the University of Cambridge. 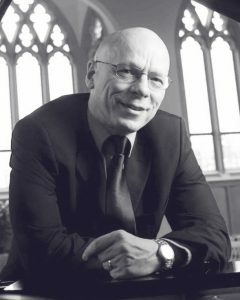 His books include A Peculiar Orthodoxy: Reflections on Theology and the Arts (Baker Academic), Redeeming Transcendence in the Arts: Bearing Witness to the Triune God (Eerdmans), Theology, Music and Time (CUP), Resounding Truth: Christian Wisdom in the World of Music (Baker), and Music, Modernity, and God (OUP). He tours widely as a speaker, specializing in multimedia performance-lectures. Recent engagements have included preaching, speaking and performing in universities and churches in North America, Japan, Hong Kong and Australia. St. George’s Episcopal Church in Nashville is one of DITA’s parish partners and each summer hosts a student from DITA’s Certificate in Theology & the Arts for field education. Through the parish partnership, St. George’s has developed a longterm vision for their arts programming, especially their arts-based missional community group, and worked with DITA to host an annual art exhibition and lecture series. 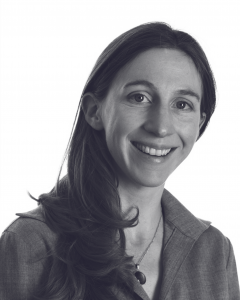 Kate Bowler is an assistant professor of the history of Christianity in North America. Her book, Blessed: A History of the American Prosperity Gospel, received widespread media attention and academic praise as the first history of the movement based on divine promises of health, wealth, and happiness. In 2015, she was unexpectedly diagnosed with Stage IV cancer. in her viral New York Times op-ed, she writes about the irony of being an expert in health, wealth, and happiness while being ill. Her subsequent memoir, Everything Happens for a Reason (and other lies I’ve loved) tells the story of her struggle to understand the personal and intellectual dimensions of the American belief that all tragedies are tests of character. 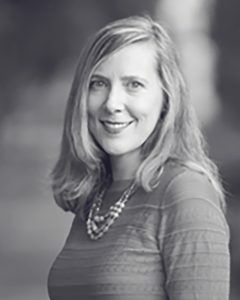 She recently received a sabbatical grant for researchers from the Louisville Institute to write her third book, The Preacher’s Wife: Women and Power in American Megaministry. 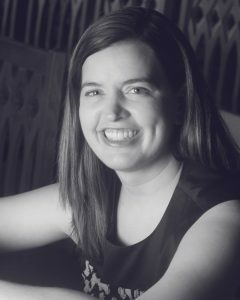 Natalie Carnes is a constructive theologian at Baylor University who reflects on traditional theological topics through somewhat less traditional themes, like images, iconoclasm, beauty, gender, and childhood. For this work, Carnes draws on literary and visual works as sources and sites of theological reflection, and her interest in doing so takes her into questions of religious knowledge and authority. 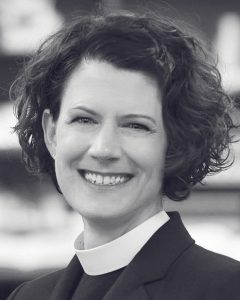 She has written two books, Beauty: A Theological Engagement with Gregory of Nyssa and Image and Presence: A Christological Reflection of Iconoclasm and Iconophilia. Currently, she is working on two new projects. One is a book with Matthew Whelan exploring the questions at the intersections of poverty, aesthetics, luxury, and art. The other is a theological narrative contemplating children and childhood. 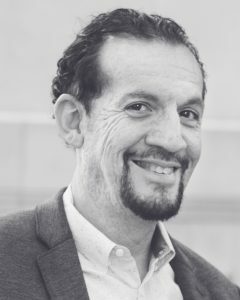 Carlos Colón is Assistant Director for Worship and Chapel at Baylor University. He is a composer, liturgist, and cultural promoter, specializing in music that is both academically serious and ecclesiastically valuable. His recent projects lie at the intersection of social justice and religious change. Colón was born in Chalchuapa, El Salvador. When he was 14, he was forced to leave El Salvador and took refuge in Guatemala City. A resident of the United States since 1986, he holds a B.M. from Belmont University and a M.M. from Baylor University. He became a U.S. citizen in 2001. His music has been performed in festivals in the United States and abroad. Colón’s international heritage and personal experience of civil war inform his compositions’ call to justice, peace, and beauty. Recently, his music has been performed in Carnegie Hall, Venezuela National Radio, the Calvin Worship Symposium, and Festival de Música Contemporánea of El Salvador. 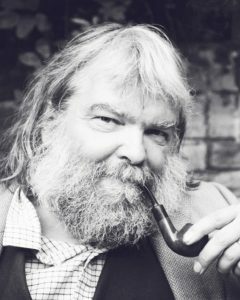 Poet-priest Malcolm Guite is Chaplain of Girton College, Cambridge, and teaches at the Faculty of Divinity at the University of Cambridge. He lectures widely in England and North America on Theology and Literature and has published poetry, theology, and literary criticism, including his most recent work, Mariner: A Voyage with Samuel Taylor Coleridge. 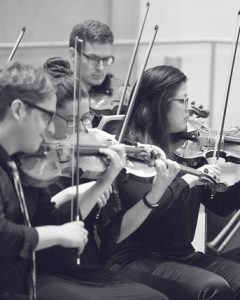 The New Caritas Orchestra is made up of professional musicians of faith from premiere orchestras, including the Boston Symphony, Baltimore Symphony, Boston Conservatory, St. Louis Symphony, Pittsburgh Symphony, and more. 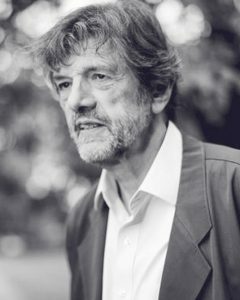 Micheal O’Siadhail is a full-time writer with sixteen published collections of poetry, and has given poetry readings and broadcast extensively in Ireland, Britain, Europe, and North America. He has been lecturer at Trinity College Dublin and a professor at the Dublin Institute for Advanced Studies. O’Siadhail is the recipient of numerous awards and honors. His most recent work, The Five Quintets, has been universally recognized as a major poetic achievement and was named “Book of the Year” by the Conference on Christianity and Literature. Artist Steve A. Prince is a native of New Orleans, Louisiana, and he currently resides in Williamsburg, Virginia. Prince received his BFA from Xavier University of Louisiana and his MFA in Printmaking and Sculpture from Michigan State University. 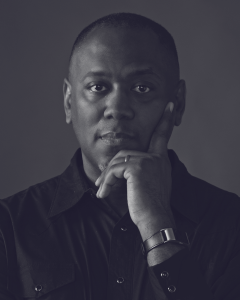 He is currently the Director of Engagement and Distinguished Artist in Residence at the Muscarelle Museum of Art at the College of William and Mary. Prince received several honors for his art and scholarship, including the 2010 Teacher of the Year for the City of Hampton. Prince has shown his art internationally in various solo, group, and juried exhibitions. Prince has participated in several residencies including the 2007 Partners of the Americas Artist in Residence in Santa Catarina, Brazil. Prince has created several public works, including an 8’x8′ mixed media work titled “Lemonade: A Picture of America” at the College of William and Mary commemorating the first three African American resident students in 1967 at the college. 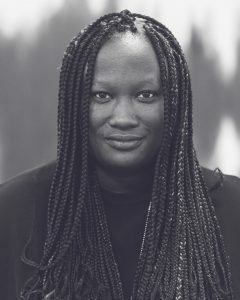 Lanecia Rouse Tinsley is a multidisciplinary artist who specializes in abstract expressionism. Her portfolio also includes a range of work in photography, painting, teaching, writing, and speaking. She is the owner and creator of LAR Art Studio. In addition to her work through LAR Art Studio, Lanecia contracts with Holy Family HTX as Artist-in-Residence; works with projectCURATE as Co-Spiritual Director and Consultant for the Arts; and is Co-founder/Co-Creative Director of ImagiNoir Group, an international alliance and think-tank of black activists, artists, writers, scholars, and educators. 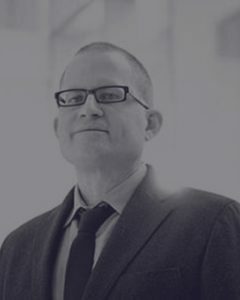 Poet, translator, editor, and essayist Christian Wiman served as the editor of Poetry magazine from 2003 to 2013. A former Guggenheim fellow, he has taught at Stanford University, Northwestern University, Lynchburg College, and Yale Divinity School. Wiman is the author of numerous books of prose, and poetry, including My Bright Abyss: Meditation of a Modern Believer. N.T. 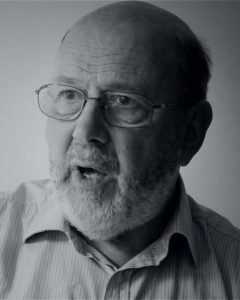 Wright is a leading biblical scholar, former Bishop of Durham in the Church of England and current Research Professor of New Testament and Early Christianity at St. Mary’s College in the University of St. Andrews. Wright has written over seventy books, including the multi-volume work Christian Origins and the Question of God. Judith Wolfe is Professor of Philosophical Theology, Deputy Head of the School of Divinity, and Director of the Graduate Programme in Theology at the University of St. Andrews. Her overarching research interest is in eschatology and its significance within theology. She is currently finishing two monographs: one the theological imagination (Baylor University Press, 2020) and the other on eschatology and modern European thought (Oxford University Press, 2021).